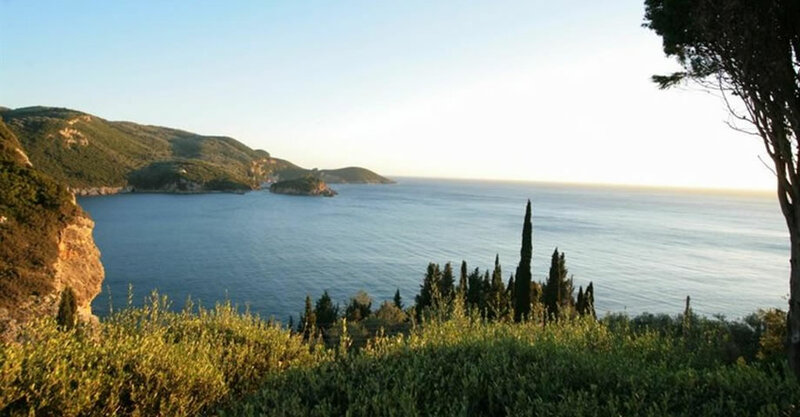 The property is located in the Northwest part of Corfu, in the wider region of Paleokastritsa. 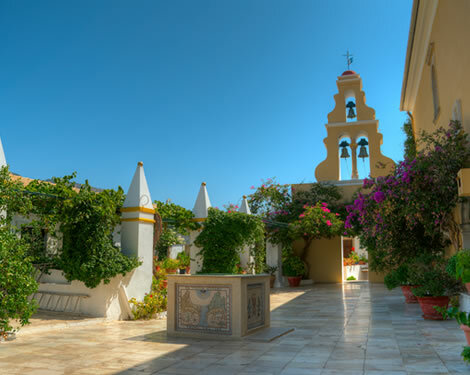 It is situated on a prominent, forested hillside facing the beautiful coast and within a green oasis of olive and pine trees. The main road is meters away but reassuring to say that no traffic can be heard from the property. There is also a bus stop in the main road near the villa; buses offer service to the town of Corfu and other traditional small villages and beaches. Within short distance you can also find mini markets, shops, restaurants, ATM machinery, pharmacy and gas station. Furthermore, luckily enough you are only 2000km from the famous Paleokastritsa Harbor, a place gifted with a unique beauty and crystal clear waters. There you can also enjoy tasty and traditional dishes in the seaside restaurants! What is more, from Thalia’s House stunning beaches and wonderful caves are within close reach to be explored, like Angelokastro, Agia Triada etc! You also have the chance to easily organize memorable day trips to exotic and unknown beaches which you can visit only by boat. The boat trips can be arranged in various bays at Paleokastritsa area and these magnificent beaches are far enough to feel away from the crowds but still close enough to the comfort of your home. Otherwise if you prefer the convenience of an organized beach, you have numerous choices within a short walk to various coasts, where you can rent umbrellas and chairs. 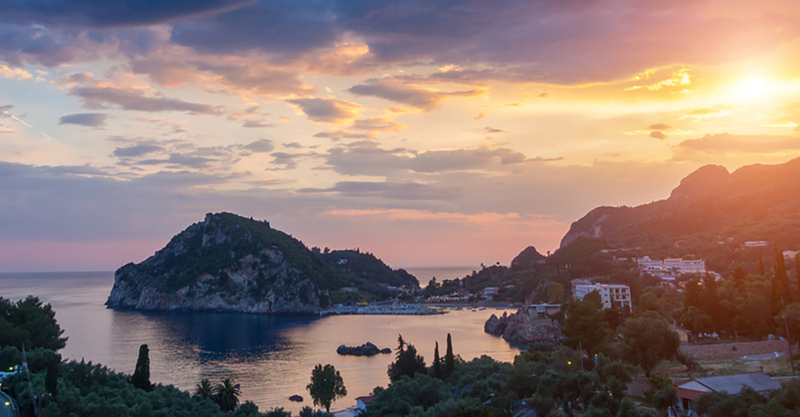 The distance from the Corfu Town, where the port and the airport are located as well, is about 25 kilometers. 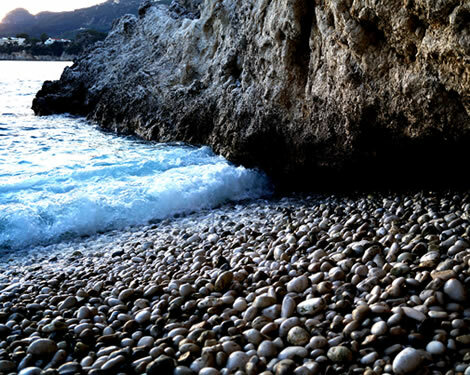 Beatiful pebbly beach located 5km from Paleokastritsa. 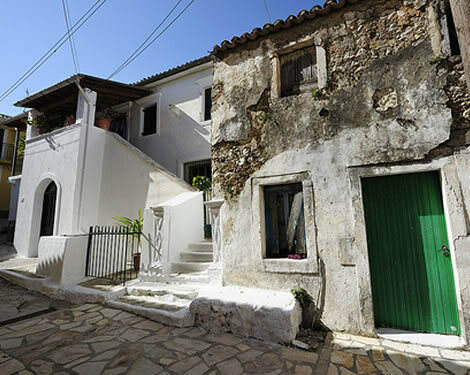 Lakones village dates back to the late Byzantine Period and some of the houses are more than 200 years old. 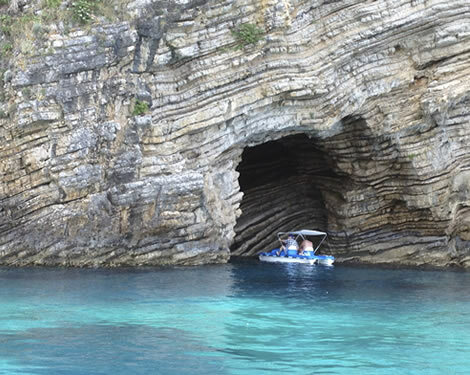 Make sure to take a boat tour around Paleokastritsa’s Blue Caves. The popular monastery in Paleokastritsa attracts thousands of visitors each year.